A friendly and pleasant hostel in front of Praia do Sul in Ericeira. With fantastic views, has 2 dorms and a double room with shared bathroom. Beautiful, warm, friendly and very cute are some of the adjectives used by those who have known this location. To Know, to See, to Share ... our motto! 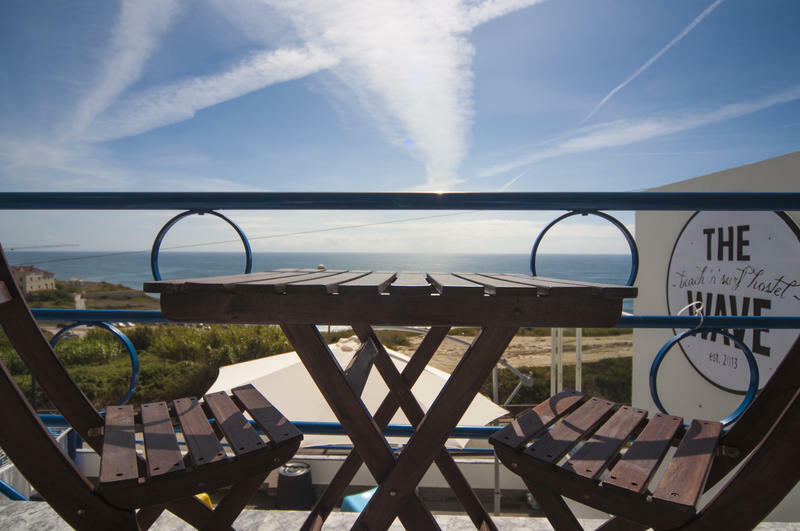 Located in Praia do Sul beachfront, in Ericeira, The Wave Beach & Surf Hostel faces the Atlantic Ocean. It offers bright shared and private accommodation and a sea-view terrace. The private room offers access to a shared bathroom and dorms include an individual reading light and a locker. Some The Wave - Beach 'n' Surf Hostel has rooms that offer sea views, and others have a balcony. A breakfast buffet is served daily at The Wave Beach & Surf Hostel, and there are barbecue facilities onsite. Guests have access to a fully equipped kitchen. Within 1 km, there is a variety of restaurants serving seafood and pizzerias. Lisbon is 42 km from The Wave Beach & Surf Hostel and the centre of Ericeira is a 5-minute walk. There is free public parking onsite.